If you have been wanting to lose weight, you probably have done some thinking about whether or not you want to use a weight loss program or not. There are plenty of programs to choose from and there are some great ones out there. What works for one person might not work for another, so sometimes it is a hit and miss thing. Many people claim to like the Nutrisystem food delivery weight loss program, as there are some great success stories and reviews out there. In fact, there are a plethora of before and after pictures online that showcase the pounds lost while using the Nutrisystem program. If you happen to be interested in this meal delivery program, in addition to the products you can purchase, you might want to read tips and receive support from others who have tried it before you. If so, here are some great Nutrisystem blogs that you can get familiar with and utilize at your convenience. Everything Mommyhood. A stay-at-home mom of two beautiful girls, 29-year old Darci and her husband lost a combined 23 lb in 13 weeks on Nutrisystem. They have recorded their journey and offer useful tips and lessons they learned along the way. 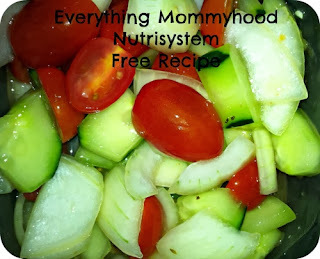 Here you will find plenty of Nutrisystem recipes, including a delicious vegetable salad with a healthy dressing. Preparing your own salads is an important aspect of the Nutrisystem diet, given that the meals the company provides lack fresh fruits and vegetables. Darci, delights in sharing yummy recipes and bits and pieces of her life with her children and husband. Weight Loss Triumph. Overweight and obese women who joined Nutrisystem describe how the plan worked for them. Debi, a 5’2 mom, joined the program at 182 lb after having 5 pregnancies. After losing 36 lb, she explains how her experience helped her become a better, wife, a better mom, and a happier person. In addition to these testimonies, on WeightLossTriumph.com you will find discount codes to save on your Nutrisystem purchase. Not Quite Susie Homemaker. An interesting title for a Nutrisystem blogger, this blog will furnish you with plenty of encouragement and healthy recipes for you and your family. Shell, a young 20 something gal who lives in Las Vegas, blogs about her healthy eating journey and her family. You will find information on a variety of topics like: how to enjoy the summertime BBQ season while on Nutrisystem, how to snack smart, reviews of Nutrisystem foods, yummy recipe ideas, and weekly updates on her Nutrisystem progress. Make sure you check all these and more here. Feel free to let her know you appreciate her recipes! Adventures of the Mommy Homemaker. Here Maria shares some Nutrisystem recipes and a bit about her weight loss journey. Last May she completed 19 weeks on Nutrisystem and lost a total of 52lb! This is a big transformation in her body given her rather short stature of 4’11. She now eats 6 small meals a day and gives plenty of tips on getting healthy with Nutrisystem. On top of that, Maria writes about home improvement and plenty of other helpful topics. Be sure to stop by and take a look at her unique website. The Nurse Mommy. This blog will furnish you with a plethora of Nutrisystem recipes, as well as product reviews, giveaways, Nutrisystem discounts, and stories about life, healthy lifestyles, families, and more. This blog was founded in 2008 by four moms who simply wanted to spread their passion for healthy eating and healthy recipes. Be sure to take some time read over their site, check out their recipes, and leave them a comment of appreciation for all their hard work. Living a healthy lifestyle requires healthy eating and regular exercise. By getting familiar with some of the best blogs that offer Nutrisystem recipes, you are well on your way to losing the weight you’ve wanted to lose and keep it off. Allow others who are on the same journey to encourage and motivate you to continue on your journey one day at a time. Who knows? You may even be inspired to create your own blog and share your experiences with weight loss and life in general. After all, writing is quite therapeutic and a great way to keep track of your life as you live it. I like your post, The right food will help you remain healthy, which determine how healthy we will be in the long run. Thank you for sharing.